As 2019 starts, we look back on how much Plastic Oceans International has grown and accomplished in the year that just recently ended. It has been great to see the issue of plastic pollution grow as a global trend, becoming a priority on the agenda of nations, organizations and many individuals. It is important to understand that these global changes are a result of the collective actions by groups like Plastic Oceans International which serves as a voice to all of our supporters. In 2018, thanks to the active and financial support of so many, we continued our mission to inform and inspire change. We also highlighted solutions by individuals, companies and nations to incite others to change. Some highlights of our impact are outlined below. Overall, we learned that individuals, companies, and nations really care and want to learn about plastic pollution. Once they learn of the impact and the facts, they are moved to change and are inspiring others to do the same. It is through truthful information and recognition of inspirational acts of all sizes that will lead to inciting a global movement towards rethinking how we use and manage plastic. We all need to continue this work to maintain the momentum until we reach our goal of ending plastic pollution. We reached 100,000+ students all over the world – China, Greece, Colombia, Chile, Mexico, US, Canada, UK, Hong Kong, Thailand… We will continue to educate young students on the science and facts on plastic and its impact on the environment. We believe plastic use is a habit and it is easier to prevent bad habits than to break them. 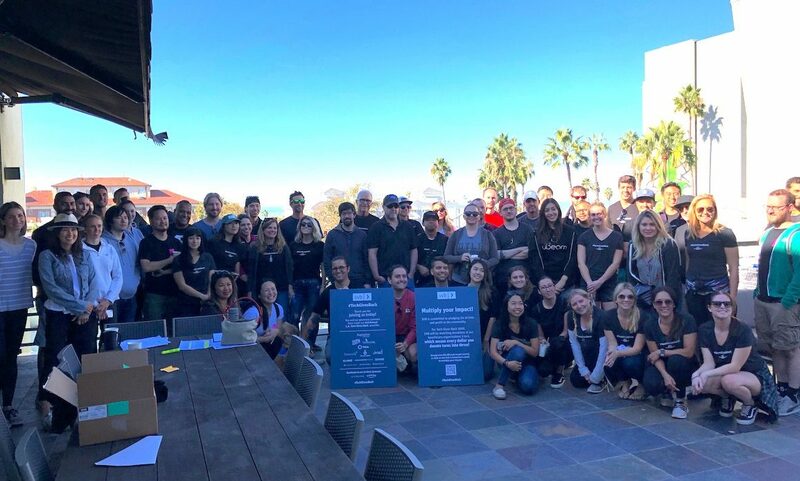 We held corporate workshops with different industries – Google, Apple, Intercontinental Hotel, Silicon Valley Bank, JP Morgan, BNP Paribas, Phuket Hotel Association, Kate Sommerville, Whiskey Exchange, Maximal Concepts… and provided ways to reduce their plastic footprint. Collectively the companies reduced plastic waste of 1,000,000+ lbs per year by replacing water bottles with refill stations, replacing coffee pods, not lining paper waste bins, eliminating plastic in packaging, and choosing recycled plastic over new plastic. 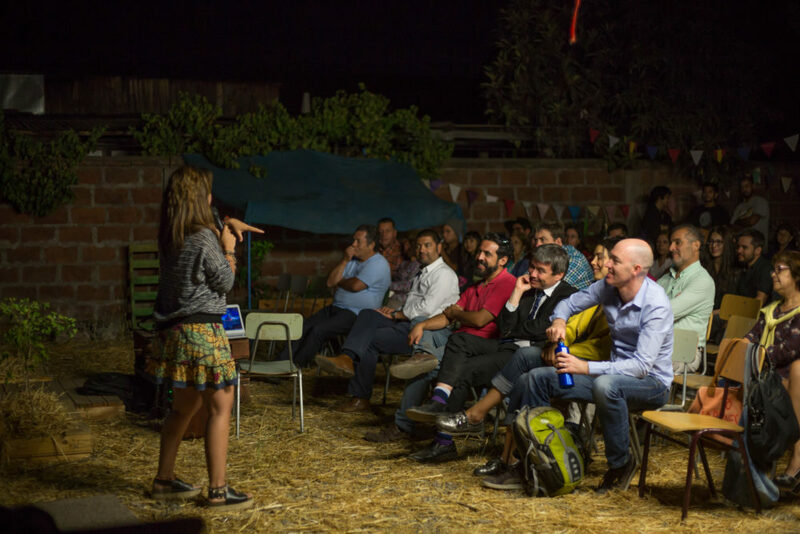 Our team presents to Charla Fundación Mingako in Chile. Following our education forum for the City of Malibu and subsequent meetings with city officials, it was wonderful to see a city wide ban on plastic straws and utensils implemented in June 2018. At the start of 2018, we expanded our work in Chile. We met with the Minister of Environment who specifically noted Plastic Oceans International’s work which sparked the initial plastic bag ban in all the coastal cities of Chile. Subsequently, in August 2018, the plastic bag ban was expanded to the rest of the country, making Chile the first country in Latin America to ban plastic bags in stores – reducing up to 3.4 billion disposable plastic bags in Chile every year. Corporations and individuals have sponsored our education program in several schools where we have been able to inform students about plastic pollution. This sponsorship will also go towards implementing water refill stations and reusable bottles in 10 schools. It is also incredible to see different individuals use their unique platforms to actively become voices for change in their industry like Kate Sommerville and Carlos Vives. We had several educational beach clean ups that prevented thousands of kilos of waste from entering the ocean. We partnered with Samsonite, a leader in the travel industry, to develop education materials and grow their product lines that use Recyclex Fabric Technology made from 100% recycled PET materials. Plastic pollution is a trend that can only be addressed by a global vision along with many local actions in order to change how we currently manage and use plastic. It is exciting to see the positive momentum of local change and individual activism driving policy change to protect our oceans and environment. The kids of the Pico Youth & Family Center, in Santa Monica, California. 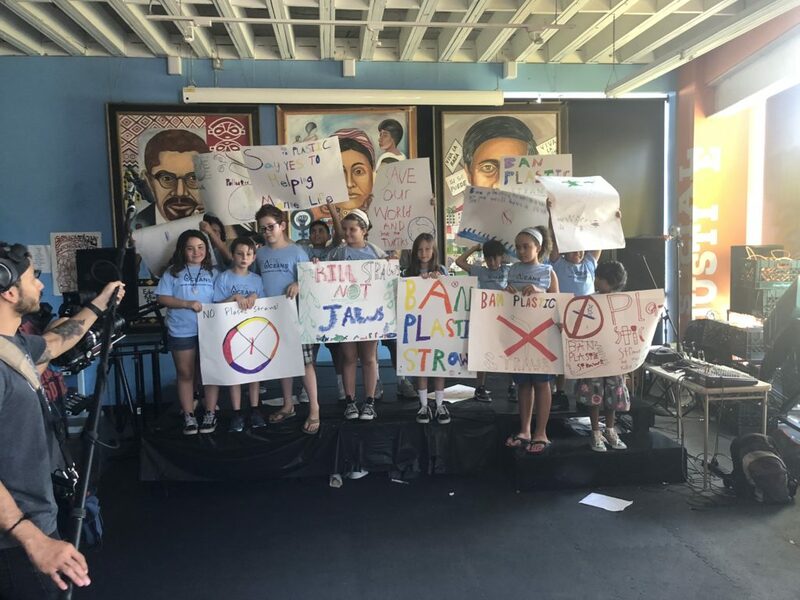 Our work with Santa Monica Pico Youth and Family’s social justice program followed a group of 7-12 year olds learning about plastic pollution, its impact on the ocean, and activated them to create change in their community. 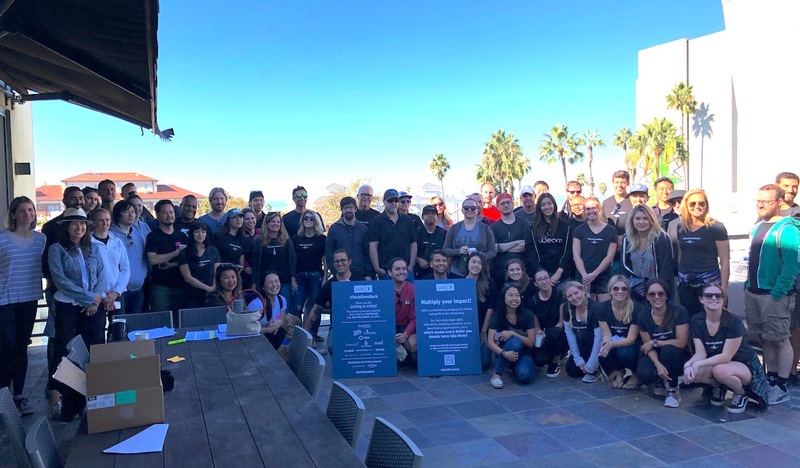 They created a petition to ban straws, talked with local businesses and community members, spoke with city officials including the Mayor, organized a rally to Santa Monica City Hall and spoke at the city hall meeting where the ban on straws, utensils and other single-use plastics was passed and took effect on January 1, 2019. In February 2018 we first met with the Attorney General’s team in Bogota, Colombia and city leaders in Santa Marta, Colombia, to advocate for better plastic management policies. Since then, we are excited to report that Santa Marta is planning to implement a new project called “Desplastifica Tu Ciudad Por Una Santa Marta Sostenible,” to ban single use plastics. They have also successfully set up micro businesses for waste collectors involved in a circular economy on recycling plastics. In Bogota, Colombia, we led a workshop with all stakeholders in the single-use plastics arena, including Nestle, the country’s association representing plastic industries, the country’s plastic producers association, the biggest dairy farm, manufacturers, resellers, recyclers, a consumer group and senators. The Attorney General’s office is working with us to set up similar workshops in other cities in Colombia to hold city governments accountable for monitoring and evaluating government initiatives to combat the problems, education in schools and communities and leadership. Our team in Mexico has been working with Senator Juan Carlos Losada Vargas, Representante la Camara, who is drafting new legislation to ban single use plastics which he aims to introduce to congress in the near future. Senator Vargas has expressed interest in holding a similar panel discussion in Colombia’s congress. Thank you to everyone who has supported us in 2018 and made it possible for us to come closer to reaching our vision to end plastic pollution. We are proud of what we accomplished but we have a lot of work to still do. We have ambitious plans for 2019 to achieve even more. With our growing support we know we will all be able to achieve a world without plastic pollution.